Not only is there evidence of Turkey financing and arming ISIS and other terrorist groups, but we now see the Turkish government cracking down on its own citizens, says Middle East analyst Sharmine Narwani. Since the end of the WWII and the beginning of the Cold War Britain and the US have had a very close strategic working relationship with the Turkish government. 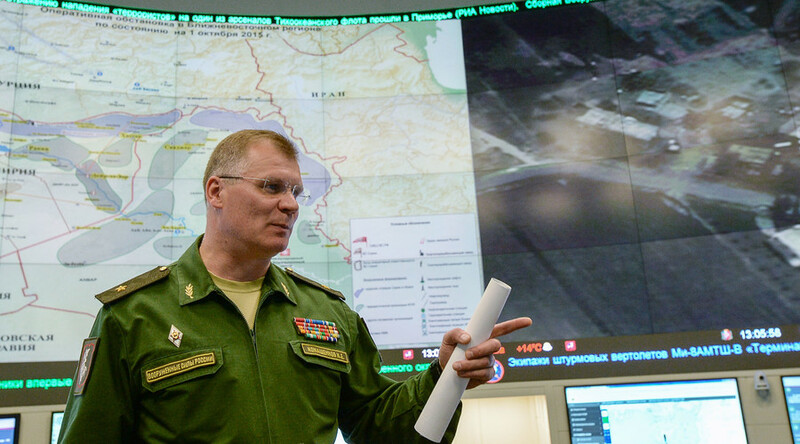 The Russian Defense Ministry Monday released video footage, which it claims shows the Turkish military shelling Syrian territory using heavy artillery. RT: Russia's defense ministry is clearly angered by Turkey not releasing any evidence. Do you think the Russian ministry has a point here? Sharmine Narwani: Of course they do. A lot of people can make allegations, but the proof is in the pudding. If the Turks have evidence - like any other nation states – if you have evidence that someone has violated your territorial integrity or your sovereignty, you need to show that evidence so that the international community understands what is happening and can act accordingly. So of course the Russians are fully justified to demand information when allegations are made so publicly and so widespread, and expect an answer. RT: What about the NATO’s claim that this would go against the national security or they can’t release the information for security reasons? SN: I don’t know why this information would be secure – is it because of how they gain that information, where their satellites are, what they’re watching? There are ways, there are mediation committees that can look at evidence with impartial actors who can look at evidence and provide the answers that the Russians and the Turks need. It seems to me that we’re entering a stage where we are going to have to need some kind of international mediation between the Russians and the Turks on some of these contentious issues. RT: Turkey's yet to comment on today's video of the shelling. Would you expect to hear anything from Ankara? SN: No, nothing that would support the Russian position or the allegations of the Syrian state. The Turks rejected and turned their backs on the Russian claims of shooting down the plane last November and handled that in such a bad and confrontational way that the Russians had to act by slapping sanctions on the country, limiting trade and tourism and other such things. It is a very dangerous situation for Turkey as these things escalate; the rhetoric escalates as well as the incidents. Today we’ve seen the Turkish lira fall. There is a real necessity for these actors to clarify things and to get past it. But I don’t think the Turks seeing past behavior that we can expect them to acknowledge these claims and deal with them as one would expect from a major international player. RT: In just the last week we've seen a lot of claims and counter claims by both sides. How difficult do you think it is to work out who's telling the truth? SN: That’s true; this is why we have organizations like the UN. The UN and its Charter is there to prevent war and then help regulate conflict when it does break out. People are looking to NATO and the Pentagon for answers; we’re not going to get it from these players. This is the UN’s job, this is when they need to step-up, but they are being very squeamish about involvement in this, because of course the Syrian conflict is ultimately a massive global geopolitical fault line where all the major players in the world have taken sides. We shouldn’t be looking to the organizations that the Russians are asking for answers. This is something that falls well within the domain of the UN and it is unfortunate that they are not stepping up to do anything about this. 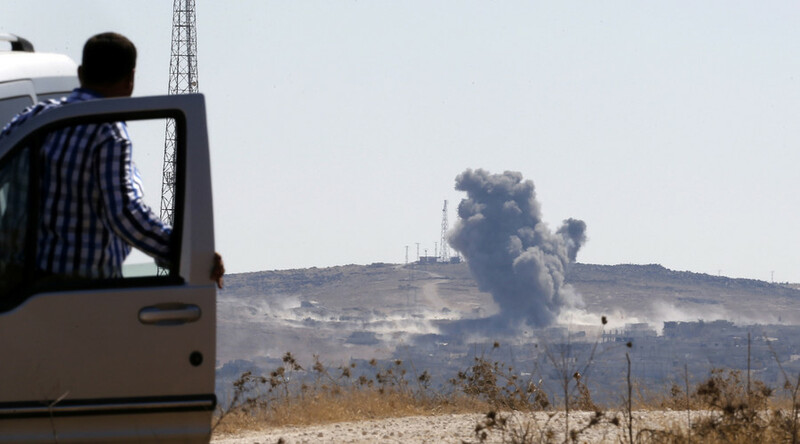 Turkey has become quite a rogue actor during this Syrian conflict. Not only have we seen evidence of them participating in the financing and arming of ISIS and Jabhat al-Nusra, al-Qaeda in Syria Ahrar ash-Sham and other terrorist groups, but this has also spilled into Turkey and now we see the Turkish government killing its own citizens and making mass arrests, and regulating the freedom of speech, arresting journalists, etc. Turkey has gone rogue, and we can’t have much expectation from that state, we need now to turn to UN Security Council for some answers. Middle East expert and publisher of Politics First magazine, Marcus Papadopoulos says America and Britain, who are Turkey’s main backers, might dismiss the evidence provided by Russia. RT: Why would Turkish armed forces fire shells across the Syrian border? MP: What is clear is that the Turkish government’s objective of trying to overthrow the Syrian government through the use of Islamic terrorists has failed and Turkey’s role, its links to Islamic terrorism in Syria, is being exposed for the whole world to see. 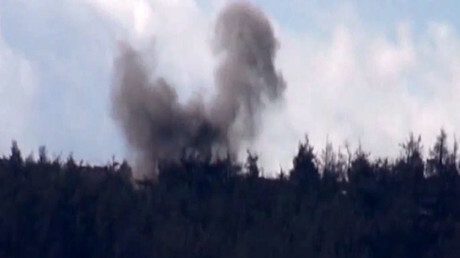 Now, why would the Turkish military start shelling Syrian territory? I think there are a number of reasons for that. In recent months the Syrian army, backed by the Russian military air campaign, is advancing rapidly along the Syrian –Turkish border; they are liberating areas from ISIS occupation, from al-Nusra occupation. Also, at the same time, in the east of the country, in the central area along the border Syria’s Kurds, the YPG [People's Protection Units], are also liberating areas along the Syrian-Turkish border. So the Turkish government could be shelling in those parts of Syria where the Syrian Army and the YPG are, as warning shots trying to deter the Syrian army from liberating its own territory and also from the Kurds. Obviously Turkey has a very, very complex relationship with the Kurdish forces. Also, it could be an act of provocation. Turkey might be trying to provoke the Syrian army, in particular, to respond to the shelling, so that Turkey has a reason to stage some sort of military intervention into Syria. RT: What reaction do you expect from Turkey to the allegations? MP: Turkey will categorically deny it, and no matter how persuasive, how concrete the evidence is – that the Russian Defense Ministry has, America and Britain – Turkey’s main backers in the world, will simply dismiss the evidence. Why? Because since the end of the WWII, the beginning of the Cold War, America and Britain have pushed for a very, very close strategic working relationship with Turkey. In effect, the Americans and the British have given Turkey a blank check to do what it wants in the region. For example, after the first Gulf War, American and British warplanes would patrol the north of Iraq to protect the Kurds from Saddam Hussein’s forces, but those planes, when they were going back to their base in Turkey, would pass Turkish airplanes on their way to actually bomb the Kurds in Northern Iraq. And at the moment in Northern Iraq the Turkish government has deployed Turkish forces, which of course is completely at odds with the UN charter and international law. If we go to Cyprus – Cyprus was invaded in 1974 by Turkey illegally, they ethnically cleansed the Greek Cypriots of Northern Cyprus. Now, on all three occasions, America and Britain have been silent.